Incoming freshmen, sophomores and juniors are encouraged to join Advancement Via Individual Determination (AVID) next school year. To join, students must put AVID on course request form as well as pick up an application from guidance by Feb 1. 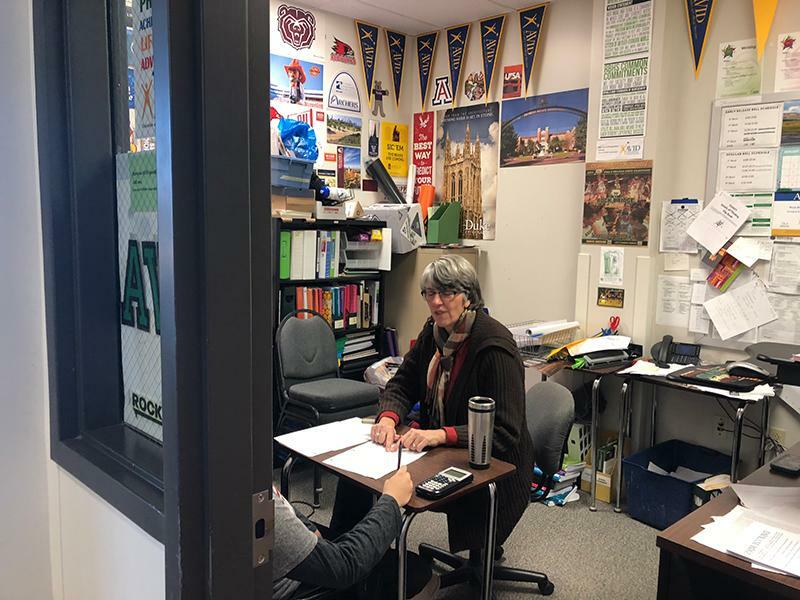 AVID coordinator of RBHS Lisa Holt said AVID achieves its mission by requiring strict organization by keeping a planner and specific note taking while also offering students support in hopes of fostering better time management, determination and grit. Sophomore Hamzah Nasraldeen said this year was his first year taking AVID; however, he already notices the difference. Another requirement of AVID, other than keeping a planner, is enrollment in at least one honors or Advanced Placement (AP) class. Challenging oneself is essential to gain persistence, Holt said, because easiness does not build mental toughness. Holt’s goal is for students to learn what a vigorous class is like before college as college shows little guidance despite the strenuous workload. Consequently, it is much harder to learn the skills necessary to be a successful student after high school; Holt said. The key is to do the work with integrity. Nasraldeen recommends students like him to join AVID in order to excel at RBHS and prepare for life beyond it. I’ve heard many good things about Avid, but also a few bad things too…Is Avid a good choice for all students?